St. Mark's is proud of its outstanding faculty whose dedication to their craft and devotion to students make each day exciting at St. Mark's. 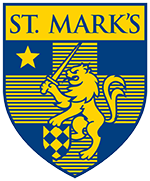 As a college preparatory institution, St. Mark's School of Texas prepares boys and young men for each successive step of their academic careers. However, these ambitions are not limited to the scholastic alone. It is the School's mission to educate the "whole boy," providing each student with the tools necessary to be successful in and out of the classroom. Additionally, as a boys' school, St. Mark's is able to address clearly and directly the particular characteristics and learning needs that boys exhibit. St. Mark's teachers view the curriculum as a dynamic entity, something that must be carefully crafted to ensure that traditional strengths endure while new possibilities are captured. Their aim is to help students acquire knowledge and develop fundamental academic processes while sharpening their critical thinking and problem solving skills. Marksmen are taught to read, write, and think analytically across the disciplines and at all grade levels. The latest technologies are integrated into the classroom, allowing boys to be modern and capable learners. To complement the academic experience, St. Mark's offers boys a variety of opportunities for participation and leadership in the School community. Whether in or out of the classroom, St. Mark's encourages students to realize their potential, rewarding both striving and achieving. Thank you for exploring employment opportunities at St. Mark’s School of Texas. All interested applicants are encouraged to submit a cover letter and resume to recruitment@smtexas.org. St. Mark's School of Texas does not discriminate in any employment practice on the basis of race, color, national or ethnic origin, religion, gender, sexual orientation, disability, age, or veteran status. St. Mark’s has been blessed with a long history of exceptional teachers, individuals who have given decades of service to their students and their craft. St. Mark’s understands the need to build upon this tradition and further strengthen the School’s longstanding dedication to great teaching. The Master Teaching Chair Program was established to attract and retain the very best teachers from across the country. From its inception, Master Teaching Chair positions have been filled by teachers who are leaders in their fields; men and women who are not only effective educators, but who also provide daily inspiration and motivation to students and colleagues alike. For more information on the Master Teaching Chair Program, click here. In addition to Master Teaching Chairs, St. Mark's also maintains several Endowed Faculty Positions. These positions carry different responsibilities than Master Teaching Chairs and are tailored toward supporting the administration of the School. Endowed Faculty Positions honor the impact of the departments they fill.